More than half of those liable have not paid the Household Charge and thousands of them took to the streets on Saturday 31 March to converge on the Fine Gael Ard Fheis and tell Phil Hogan and co. that enough is enough. 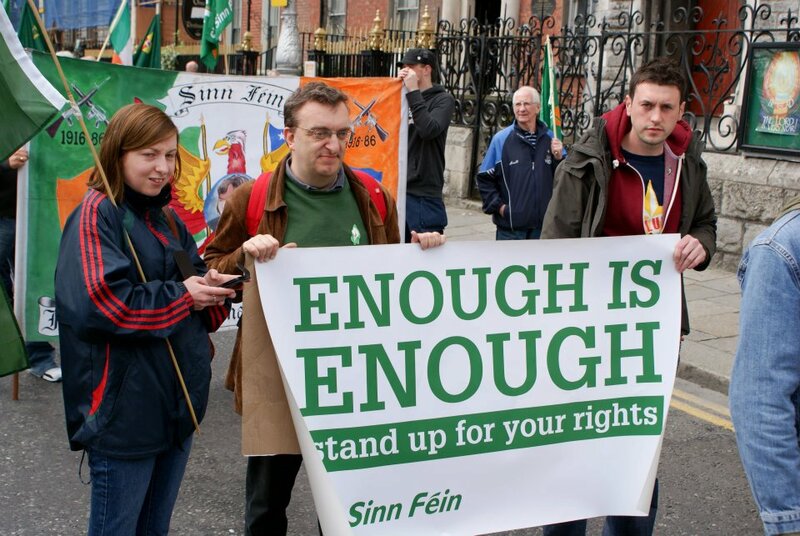 Already we can see the latest line of attack in response from the Fine Gael/Labour Coalition. They are going to try to blame those of us campaigning against the Household Charge for the crisis in funding for local government. It was this Government which slashed funding for local councils in Budget 2012. They then linked local government funding directly to the unjust and uncollectable Household Charge. This creates a major shortfall for local authority finances, threatening existing jobs and services. It is a massive con job and it is citizens, once again, who will suffer. When we were considering the 2012 budget for Dublin City Council last year the Governmen had still not made clear how the Household Charge would work and what its relation to local government funding would be. We asked if it was the case that a shortfall in collection of the charge would mean a shortfall in local government funding. The Council management was far from clear on this. But the Government's Budget 2012 cut €166 million from the Local Government Fund, with the shortfall to be made up from the collection of the Household Charge. Because of this charge we voted against the Council's 2012 Budget. So now, unless the Government introduces a Supplementary Budget for Local Government, we face the loss of vital services and jobs. 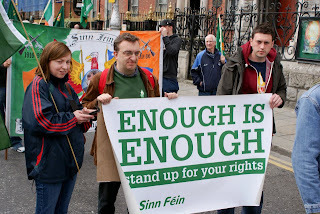 This is nothing less than an assult on local democracy by Fine Gael and the Labour Party. And to add insult to injury, today in the Sunday Times, FG European Affairs Minister Lucinda Creighton has attacked local authorities for not puling their weight in collecting the charge. To add to the threats to householders of fines or even jail, we now have our councils being threatened - "Collect this tax because we're not going to fund your services any other way" say Hogan's Anti-Heroes in FG and Labour. Local government is being forced into crisis. The only way to halt this is to repeal the Household Charge and to introduce a Supplementary Budget to fund councils and maintain existing services and jobs in 2012. Make no mistake, we do need a better way of funding local government. That can be done centrally by reforming the tax system, taxing wealth and increasing the Local Government Fund which goes to local authorities. Or it can be done by bringing in a fair form of local taxation based on ability to pay and on wealth. Or a combination of both. There is no shortage of ideas but of course this Government and its predecessors would do anything but make the rich pay more so they impose the regressive Household Charge. It is important that unity is maintained in the campaign to defeat the charge. We should not allow the Government to divide those who have paid and those who have not paid. All should be welcome in the drive to abolish Hogan's Tax. Cllr. 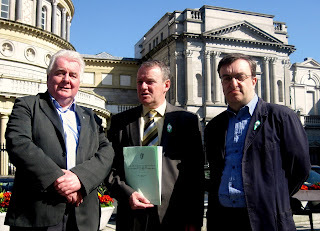 Larry O'Toole, Brian Stanley TD (SF Spokesperson on Local Government) and myself at the launch of Sinn Féin's Bill to repeal the Household Charge.